Clothing/Jewelry Description A white t-shirt with a logo, a plaid button-down shirt, Tommy Hilfiger jeans or khaki pants and a gold chain necklace. Medical Conditions Quinn has an unspecified organizational/learning disability. Distinguishing Characteristics Caucasian male. Brown hair, blue/gray eyes. Quinn has scars between his ring and middle fingers on both of his hands. He wears contact lenses. Quinn was employed at the Wal-Mart store on Hendersonville Road in Asheville, North Carolina in 2000. He departed from work at 9:00 p.m. on January 2 of that year and met his friend, Robert Jason Owens, in the store's parking lot. Quinn planned to look at a Mitsubishi Eclipse he was considering purchasing in the near future. Owens said he was accompanying Quinn and they drove separate cars to the location. A security camera videotape at the Eblen Citgo gas station on Hendersonville Road showed Quinn and Owens entering the store to purchase sodas at approximately 9:15 p.m. Owens's Ford pickup truck and Quinn's light blue Mazda Protege are seen pulling away from the station on the tape several minutes later. Both vehicles were headed towards Long Shoals Road. Owens told authorities that Quinn flashed his headlights sometime prior to 9:30 p.m. The men were near T.C. Roberson High School on Long Shoals Road in Asheville at the time. Owens said they both pulled over to the side of the road and Quinn told him he received a page. Owens stated that Quinn drove away to make a phone call at that time. Owens told authorities that Quinn returned approximately ten minutes later and rear-ended Owens's truck. Quinn apologized for the accident and said that he could not look at the vehicle as planned that evening, then he drove away. He has never been heard from again. Owens was treated for head injuries and a broken rib he claimed to have incurred during an unrelated automobile accident during the early morning hours of January 3, several hours after Quinn disappeared. Owens stated that the accident occurred near The Waffle House restaurant on Long Shoals Road by the intersection of Interstate 26. No accident report had been filed anywhere in the county, however, and Owens's injuries were not consistent with a vehicle collision. Owens called Wal-Mart on January 4, pretending to be Quinn, and reported that Quinn was sick and would not be arriving for his shift that day. He later admitted he'd made the call but said he'd done it because Quinn asked him to. After giving his initial statement about the disappearance, he refused to cooperate further with police. Quinn's Mazda Protege was discovered abandoned on January 16, two weeks after his disappearance. The vehicle was located in the parking lot of the Little Pigs Barbecue restaurant on McDowell Street. A plastic hotel key and a female black Labrador mix puppy, approximately three months old, were found inside Quinn's car, as well as several empty drink bottles, hairs, and a jacket that didn't belong to Quinn. The puppy wasn't his either, and was adopted by one of the police officers who investigated Quinn's case. A large pair of lips and two exclamation points had been drawn in orange-pink lipstick on the rear windshield, and the driver's seat was adjusted for someone shorter than Quinn. There was no sign of him at the scene. The vehicle was parked nearby Mission St. Joseph's Hospital, where Quinn's grandmother, mother and sister all worked as neonatal nurses. 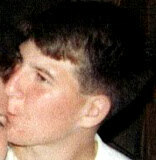 Authorities believed that foul play was involved in Quinn's disappearance and began investigating his case as a homicide. In 2009, they collected hair, saliva and fingerprint samples from a female friend of his, Misty Taylor, but they stated Misty isn't a suspect in his disappearance. Quinn told his loved ones that Misty's boyfriend, Wesley Smith, was abusive to her, and that Smith had threatened him because of his involvement with Misty. Police eventually traced the page Quinn got on the night of his disappearance; it came from the home of his aunt, Ina Ustich. She denied having made the call and said that night she was having dinner at her friend Tamra Taylor's house. Tamra is Misty Taylor's aunt, and Misty and Smith were also at the dinner that night. Ustich later filed a police report, saying that someone had broken into her house while she was at Tamra's having dinner. In the years after Quinn's disappearance, Owens spent a total of 23 months in prison for various minor crimes. A photo of him is posted with this case summary. In March 2015, he was charged with the murders of Joseph "J.T." Codd, Cristie Schoen Codd, and Cristie's unborn child in Leicester, North Carolina. The couple, who had hired Owens to perform some construction work on their home, were reported missing on March 15. Their weren't found until several days after his arrest. Authorities executed a search warrant on his property and found "hard fragments" and shreds of leather and fabric under a layer of soil and concrete; the evidence was submitted for analysis. Owens pleaded guilty to three counts of second-degree murder and two counts of dismembering human remains in April 2017; he admitted he'd killed the Codds but said he accidentally ran them over with his truck while heavily impaired on medication, then panicked and decided to dispose of their bodies rather than report the accident. He could have faced the death penalty if convicted at trial. Owens was indicted for first-degree murder in Quinn's case in July 2017. The prosecution does not intend to seek the death penalty against him; it convicted, he will be sentenced to life in prison. This would be in addition to the 59- to 74-year sentence he is serving for the Codds' murders. He is awaiting trial. Quinn was involved with the ROTC while a student at Roberson High School. He was a student at Asheville-Buncombe Technical Community College at the time of his disappearance and made good grades. His family describes him as a naive young man who was close to his family and would never have left without warning. He didn't take money, clothes, contact lens solution or any other items that he would have needed if he had left of his own accord. Foul play is suspected in his case due to the circumstances involved. Updated 13 times since October 12, 2004. Last updated July 16, 2017; details of disappearance updated.